Homemade Hummingbird Food - Natural and Easy to Make with only Two Ingredients! This Makes Two Batches. Save half in the refrigerator or fill two feeders! 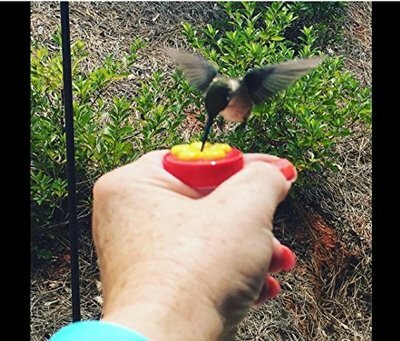 No red dye needed, just have a red hummingbird feeder. This is the perfect food for them. Easy to make! Step 1 - Mix the water and sugar together in a saucepan and bring to a boil. Step 4 - Fill two feeders or use 1/2 of mixture now and other half later. Check your feeders often for the level. 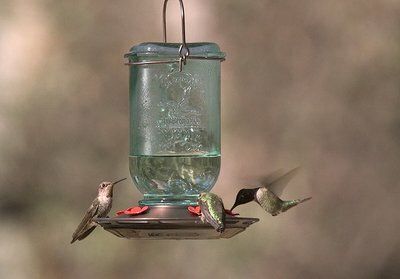 If you get many hummingbirds you may need to make a few batches to have on hand. 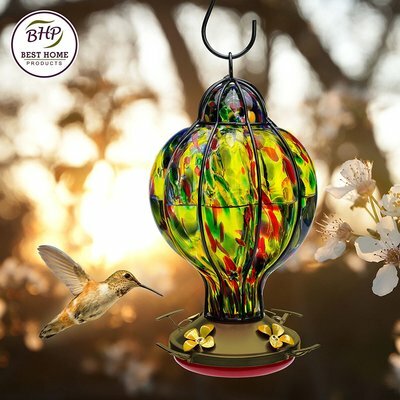 Step 5 - Always clean your hummingbird feeder by rinsing it with hot water twice a week, and fill with your homemade fresh nectar. I like to do this when it gets dark so as not to put them off finding the feeder. 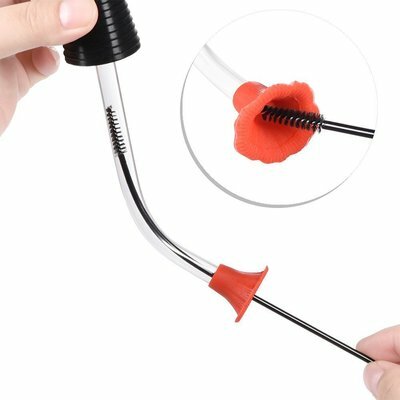 Using specialized brushes (below) that bend and fit all the tight areas makes this an easier job. Step 6 - I find if you do this once a week the ants don't really get a chance to move in. 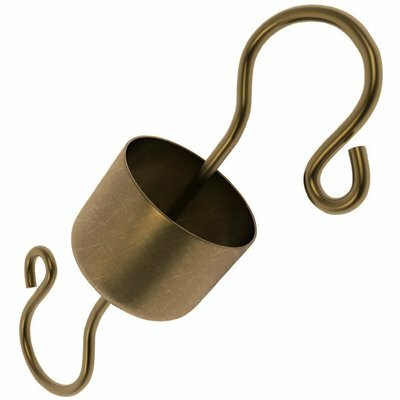 If you do find yourself with many ants, just give the base a quick spray of water, that will move them along or invest in an Ant Mote (below). Ants will put off the little birds, so try to keep them away. The mote is an awesome idea. Step 7 - Always choose a feeder with a red base to attract the hummingbirds and sometimes orioles. The red on the feeder with attract the hummingbirds, so there is no need to use red colored food. Red dye is not natural and therefore I don't use it. Step 8 - If you also plant red, orange or pink flowering shrubs or flowers and have the feeder nearby this will get them attracted to your yard. 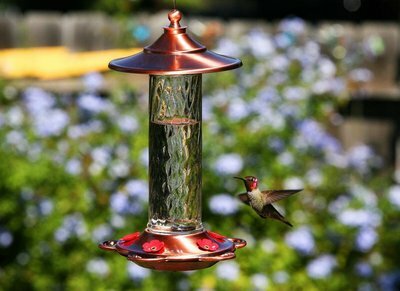 I personally have found red hummingbird feeders to do the best attracting, but also plant many red and orange flowers in the area of the feeder if you are trying to attract them for the first time. 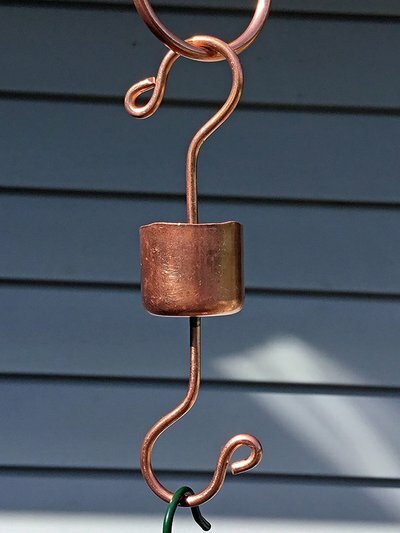 Step 9 - I have my feeder hanging on a double hook plant pole with a basket of red flowers hanging beside the feeder. 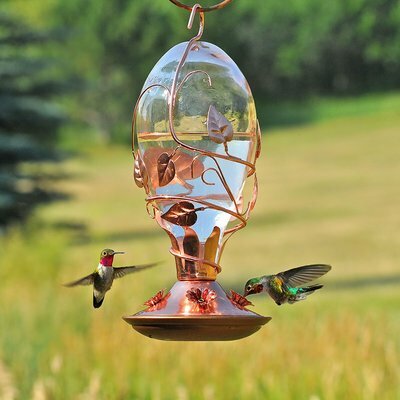 Attracting hummingbirds to your backyard is a great way to really relax and enjoy your yard. I love all birds feeding in my yard but there is something very special about the hummingbird that simply leaves you in awe when you watch them feed and zip around. They truly are a wonder of nature! ​Once you have mastered the homemade food for these beautiful tiny birds, you can take a step further and try to feed them by hand. 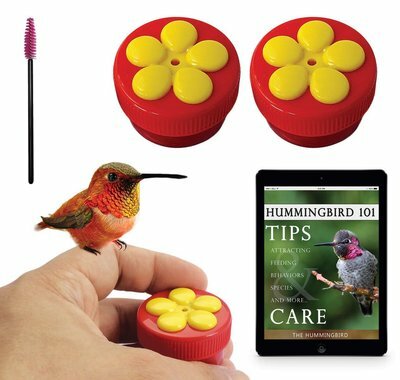 This kit not only makes a great gift idea for the bird lover on your list, but also for yourself. It takes a little patience, but once you have attracted them to your yard, it doesn't take much to have them land on you and you can watch them up close.